The summer is almost here and the first thing that comes to mind is holidays. I have been lucky enough to see a lot of the world but some of the best times I have had have been right here in the UK camping. I love camping the Mr not so much he says he is built for comfort but you can get some amazing deals and see some beautiful places right here on your doorstep and camping isn't always hard work. If like me you went camping with school you will remember being crammed into a tent with as many other teenagers that would fit while the rain leaked through the tent onto your clothes that you had to go hiking in the next day. Sounds like a nightmare right? Well don't let those bad memories put you off, camping has come a long way since then. One of the best camping trips I ever went on was with my best friend Cherry. 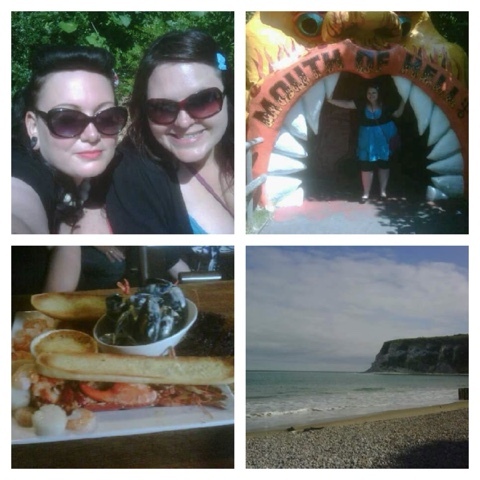 To celebrate her graduating from university her fabulous parents treated us to a camping trip in the Isle Of White. It seems like a lifetime ago now but I was so excited as other than festivals I hadn't really been camping all that much. We packed up the car with lots of camping essentials tents, airbeds, sleeping bags, even an electric adaptor, I didn't know that camp sites were so swish now you could have an electric adaptor which meant you could still have hair dryers and phone chargers. Not to mention shower and toilet cubicles unlike horrific portaloos at festivals we all dread using, There are so many amazing camp sites scattered around the UK and even Europe which can help make your trip all that more special. We stayed at a great site with a private beach so we could get up in the morning and watch the sun rise and have a little paddle. 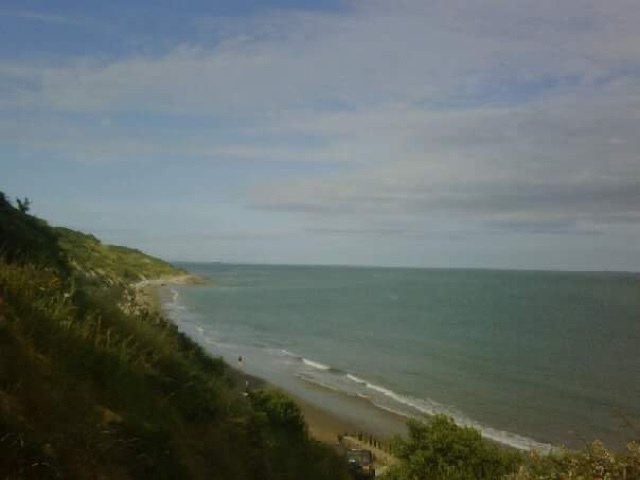 The isle of white is beautiful and with the weather on our side camping was a lot of fun even cooking was an adventure. If cooking on a camp fire isn't your thing you can always go out to eat with the money you saved on accommodation. We went to a beautiful restaurant where I got to try lobster for the first time and it was so good. 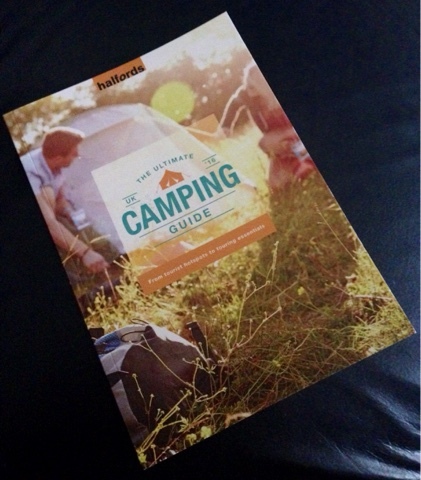 We didn't have a camping guide with us when we went but when I recently read the Halfords Ultimate Camping guide I wish we had. It is jam packed full of camp sites across the UK outlining all things to see some even have glamping pods that I am trying to convince the Mr we need to visit. Not only does the guide tell you some beautiful places to visit but tips from entertaining kids, beginners camping and even some tasty recipes. The chilli con carne sounds delicious. There are even some festival tips too! You can download a copy free here. So grab yourself some camping gear and get seeing the beautiful country we live in. I love camping, and hope to go again this Summer! You look like you had some lovely weather, and that beach looks amazing!!! This looks lovely! Unfortunately, camping and I still don't go well together - I like a memory foam mattress! I havent been camping but I am hoping from next year onwards we can go out camping a few times! oh camping is so so fun. 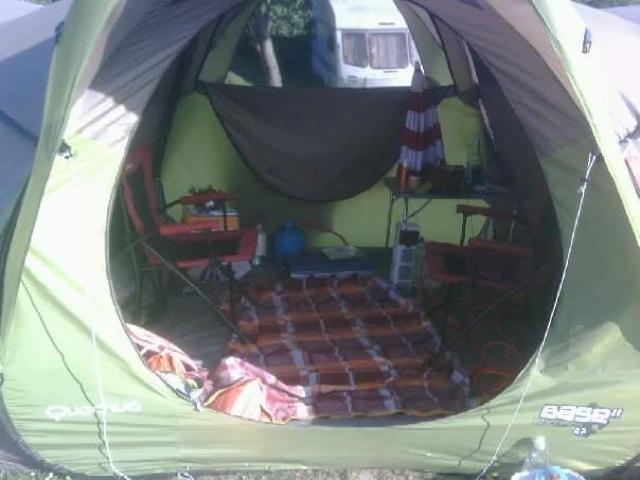 We bought a tent over 2 years ago but due to my illness we still have not been. i hope to take my daughter eventually. It sounds like you had a wonderful time, camping can be great fun. The people I live with are going camping this weekend so this would have been a great fit. I will recommend it. I absolutely LOVE camping! My living room, right now, contains a collection of camping gear for an epic 250 mile mountain bike cycle I'm heading off on in 10 days time. We'll be wild camping the whole time, including, hopefully, a night up on Ben Nevis! The only time I really ever camp is at festivals. I think I love my home comforts too much..there's only so many nights I can stand sleeping on a airbed! I love camping, and we are making the most of exploring more of the UK this year. There is so much to see! I havnt camped in years but would love to. Lovely post. I Miss Camping! Isle of white is such a nice place to do it to! I love camping for about 5 days and then I cant wait to get home!! I love camping! Going in July with friends! Can't wait! I used to go camping every year when I was younger but I haven't been camping in years... I actually miss it... a lot.